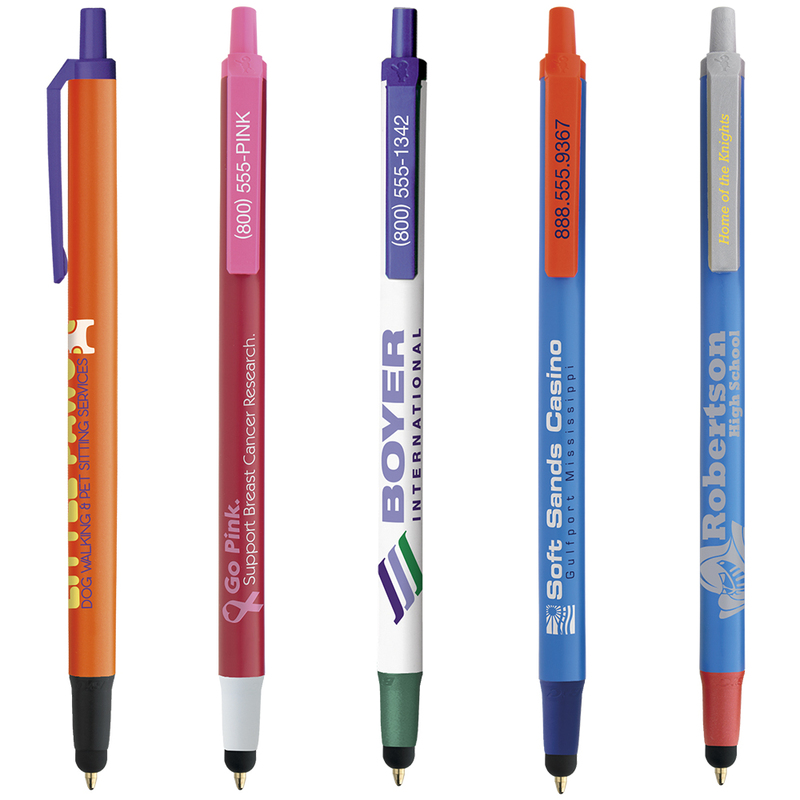 The most popular retractable in promotional products offers a click through capacitive stylus and 600 possible color combinations. FREE set-up. Break-resistant pocket clip. Capacitive screen stylus. 600 possible color combinations. Covered by U.S. Patent Nos. 8,847,930; 9,092,077. FREE BIC® Easy-Glide System® Ink Technology available upon request. Mechanism: Plunger-Action. Price includes 1-color barrel imprint, 1 location. Additional Imprint Color $.12 (C) per color, per piece. Additional Imprint Location $.12 (C) per location, per piece. Speculative Sample $50.00 (G) plus the price of the product. Imprint Color Match $30.00 (G) per color. Optional Registered Imprint Location $.12 (C) per piece. Production proof: 50.00 (G) plus the price of the product.